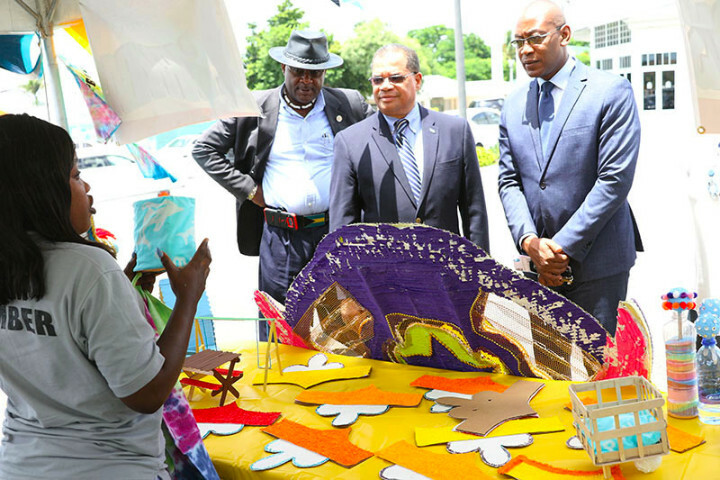 NASSAU, Bahamas -- The Ministry of Social Services and Urban Development in conjunction with the Urban Renewal Commission held a closing ceremony for the 2018 Summer Camp at the Evangelistic Temple on Friday, July 20. The three-week long camp was held under the theme: “Urban Adventurers Exploring Our Cultural Heritage”. Minister of Labour the Hon. Sen. Dion Foulkes who addressed the campers from the nine areas in New Providence noted that the 3,000 participants was the largest number in the camps history. Urban Renewal in Grand Bahama and the other Family Islands participated simultaneously making up the 3,000. Campers were encouraged to learn a skill through the Arts and Crafts that they could put to use in their later years as well as being taught conflict resolution.